Nannies, babysitte rs and other childcare professionals enhance our lives in so many ways. Often times, the value gained through the quality care of your children is simply beyond measure. One of the best ways to build a strong, positive relationship with your nanny is to show appreciation. When you are authentically appreciative, you naturally increase the likelihood that your nanny will invest more in her work and in your family. There is power in appreciation. A simple act of appreciation doesn’t have to cost anything and it can truly mean so much! Below are a few ways you can recognize and appreciate your nanny this week during National Nanny Recognition Week. Say thank you! Tell your nanny why you appreciate her so much. This may seem simple, but if you get your entire family involved, it will be a special gift to your nanny and will also help instill a sense of gratitude in your children. Write a thoughtful card, make a hand-made gift or interview your kids and turn it into a fun video skit your nanny can keep for years to come! Consider fulfilling a need in your nanny’s life. If she has her eye on a professional development class, needs new tires for her car, or is taking college courses, filling a specific need shows that you care about her life and well-being beyond her employment with your family. Surprise your nanny with a paid day off. Mom’s Best Friend will happily schedule a back-up sitter for that day, if needed! Send your nanny to the spa. Book a massage or mani/pedi so that she can relax and recharge. Nannies don’t always splurge on services for themselves, so this might be an extra special treat! Make a donation to a charity or cause that your nanny is passionate about. 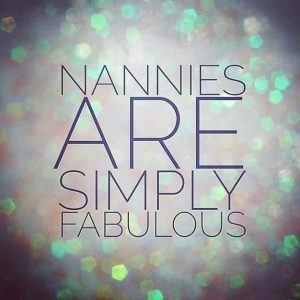 Check out our Nanny Appreciation board on Pinterest for many more great ideas to recognize your nanny!